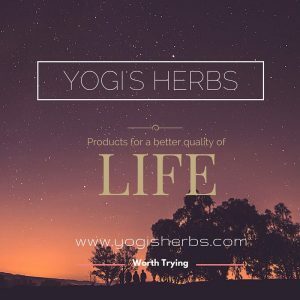 Welcome to Yogi’s Herbs International web store ! Yogi’s Herbs was started with a concern to provide a safer alternative to modern medicine wherever possible and to offer simple, effective and safe remedies for common problems. Over the centuries, India had a fascination and respect for the natural heritage, traditional plant ethics and herbal medicine has become a part of our culture. The uses of plants as medicines have been practiced from an ancient time. Indian medicinal plants provide a rich source of antioxidants. In recent years, there is a tremendous interest in the possible role of nutrition in prevention of disease. Some of these herbs have excellent medicinal value and relieve the sufferings without side effects or complications, thereby improving the quality of life. Herbs do not just treat the symptoms but helps to clear the root cause for the illness, strengthens the body’s natural defense mechanism and prevents recurrence. These medicinal plants are also important source of other type of beneficial compounds including the ingredients for functional foods. These functional foods promote better health to prevent chronic illness. Some medicinal plants and dietary constituents having functional attributes are spices such as onion, garlic, mustard, red chilli, turmeric, clove, cinnamon, saffron, curry leaf, fenugreek and ginger. Medicinal plants with such functional properties include Aegle marmelos, Allium cepa, Aloe vera, Andrographis paniculata, Azadirachta indica and Brassica juncea. A large number of academic, industrial and government institutes are conducting research on the medicinal plants of India. Since ancient times a number of Indian medicinal plants have been used globally. Seeing the problems our near and dear have faced due to long term use of modern medicines with known side effects and unexpected complications, we decided to give a big shout-out to bring people’s attention to a wiser alternative. We are not claiming to cure all or selling any miracle cure recipes here but making an honest effort to present some of the finest and time tested herbs which are being used for centuries in India, especially in the state of Tamil Nadu and found to be quite effective. 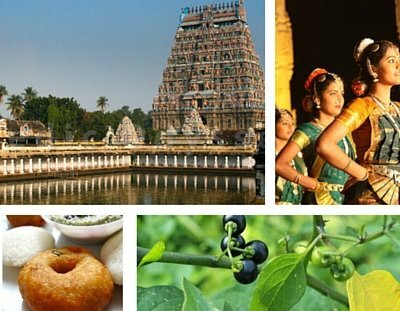 Tamil Nadu is ethno-botanically very rich, having a wide variety of medicinal plants, famous for its rare medicinal values. The usefulness and efficacy of these herbs are well known for centuries. Many yogis/siddhars and practitioners of Indian system of medicine have been using these herbs as part of their diet as well as for medicine from time immemorial. Medicinal plants are also used at the household level by women to improve the health of the family members. They knew that the herbs that have long history of culinary and therapeutic usage can safely be used to improve health, immunity and thereby prevent diseases without any side effects. These herbs are found mostly in the wild. The Alagar hills and numerous villages around Madurai district, other forests regions of the state and places like Kolli Hills, Sathuragiri Hills, Agasthyamalai and Western Ghats are the sources for commonly used herbs. The Western Ghats is very rich in its medicinal wealth. The forests and hills of this region is a treasure house of about 700 medicinal plants. It is important to note that Tribals find livelihood by collecting herbal plants. There are also varieties of herbs for curing diseases such as diabetes (Sirukurinjan, Seenthil, insulin plant); jaundice (Keezhanelli, Vellaikarisalai, Manjalkarisalai); acid peptic diseases (Pirandai, Manathakkali); asthma and cough (Aada thodai, Thoothuvalai, Kandankathiri, arathai, Nanjaruppan, Thulasi, Karupooravalli, Thippili), renal disorders (Siru peelai, Nerunjil) just to name a few. Many people tend to consume tons of OTC medicine on a routine basis for common health problems, which can be effectively treated and possibly cured using natural herbs without the worry of adverse effects. Our m ission is to spread awareness about the medicinal uses of these natural and safe herbs all over the world and to make it easily available through this store for all those who want to enjoy its benefits. Support a rich heritage of wisdom that helps everyone enjoy a better quality of life through naturally smart herbs, healthy food habits and a balanced life style. 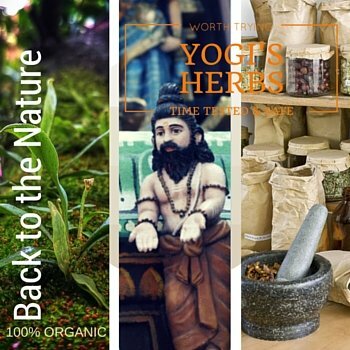 Yogi’s natural herbs are known for their freshness and fine quality. Our herbs are processed as per the GMP standards. Special care is taken to use fresh and pure ingredients, herbs are properly cleansed and processed as per the traditional / authoritative texts / methods to retain its natural aroma, color, taste, purity, effectiveness and quality. Herbs are collected from the forest regions and are organically grown without the use of harmful pesticides, synthetic fertilizers or genetically modified organisms. The quality of our herbal health care and personal care products come from long years of experience, Strong R&D and ethical commitment to quality. We earnestly believe that our mission to spread awareness about the medicinal uses of these natural and safe herbs is best served by giving good quality products.